Google has blocked an anti-abortion group from using advertisements on its search engine that encourage women to visit their rogue crisis pregnancy agency. Last year The Times exposed how The Women’s Centre on Berkeley Street in Dublin was advising women that abortion caused breast cancer and could turn them into child abusers. Despite claiming to be an objective source of information, The Women’s Centre is linked to The Good Counsel Network, an extreme Catholic group that has compared abortion to terrorism. The group paid Google so that its website, abortionadvice.ie, was the first or second result when a woman searched for information on how to access a legal abortion abroad. Women who call its “national helpline” are offered appointments at The Women’s Centre or one of the other clinics it claims to run across the country. Google offers paid advertisements which can present a website as the first result under certain search terms. This week the company blocked The Women’s Centre from using its adverts because it had been found to be deceptive. 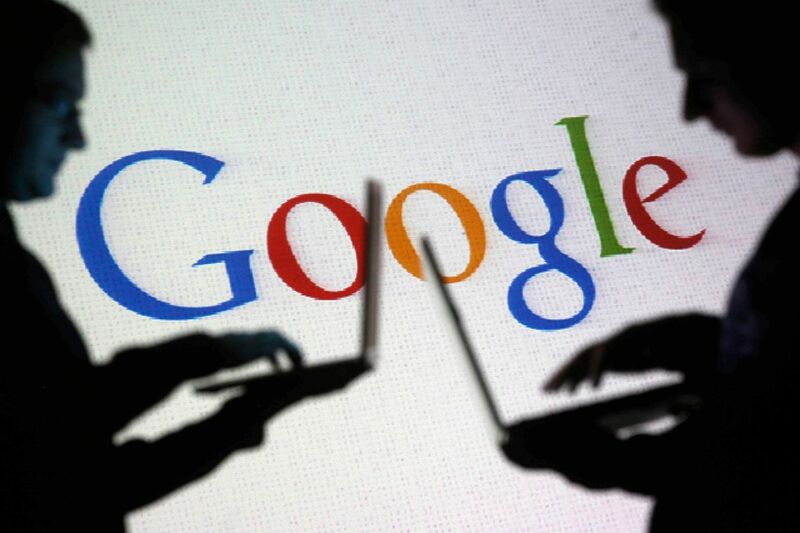 “We have a set of strict policies which govern what ads we do and do not allow on Google. We do not allow fraudulent or misrepresentative ads and when we discover ads that break our policies, we quickly take action,” a spokesman for Google said. The site had specifically targeted women using Irish IP addresses who were entering search terms indicating that they were looking for information about how to access an abortion in the UK. Since the site’s removal from the top search results it has been replaced by a HSE website and the British Pregnancy Advisory service. The Women’s Centre is facing closure after Simon Harris, the health minister, committed to pass legislation to regulate crisis pregnancy agencies that were offering misinformation. Mr Harris said that he was hoping to pass the law this summer. Other anti-abortion groups and campaigners have also sought to use Google adverts to campaign ahead of a possible referendum on the Eighth Amendment. Over the course of the last meeting of the citizens assembly, a website alleging bias on the part of the forum paid to be the top search result. Citizensassembly.info is a site registered through a proxy. On the site it is stated that it was set up by Josiah Burke, a business student from NUI Galway. Mr Burke is one of ten children in the Burke family in Castlebar. Members of the family are well-known as anti-abortion and anti-marriage equality campaigners. The family linked homosexuality to paedophilia during the marriage equality campaign, sparking a protest at the NUIG campus. The website claims that the citizens’ assembly, which is considering the need to change Ireland’s abortion laws, is biased in favour of a repeal of the Eighth Amendment. At its last meeting, members of the assembly reacted angrily when Family and Life, an anti-abortion campaign group, used its presentation to claim that the assembly was biased and hearing evidence from “the abortion industry”. The 99 citizens had requested to hear from healthcare professionals who offered legal abortions to Irish women in the UK. Family and Life has since sponsored its social media posts on sites like Facebook to claim that the assembly is biased. Ms Justice Mary Laffoy, the assembly’s chair, has repeatedly defended the forum as being balanced and fair. At its next meeting in April the assembly members will ballot on what change, if any, should be made to Ireland’s constitutional near-ban on abortion. The assembly has considered leaving the Eighth Amendment as it is, amending it or replacing it with new legislation. In an age of “alternate facts” (also known as lies) in the news and in online sites, it’s honestly refreshing to see a corporate entity stand up for accurate information. It is especially important when health information is at stake. For far too long, those who claim to be pro-life (anti abortion) have promoted, often out of ignorance and blind faith, misinformation about pregnancy, contraception and abortion. Most of their information, shared online, outside clinics, in their leaflets and on their posters, can actually harm women because the information is inaccurate. The funny thing about these folks is that they are living a lie. While they promote all manner of medical nonsense as if it were true and while they consistently claim conspiracies about the scientific and medical communities’ unwillingness to promote “their” claims, these same folks do not, emphatically would not, accept bogus medicine or scientific nonsense when they are having a cardiac arrest, their grandchild is in the neonatal ICU, their hypertension and diabetes is out of control. Nope. In these and many other medical situations they want the best of what science offers. They embrace science, wittingly or not, when they drive their mechanically designed cars on engineered roads to the protest at the clinics, when they post threatening words on their laptop or tablet using the internet, when they turn the heat on in their homes to stay warm, and when they build churches in which to worship. It’s called cherry picking. Rotten methodology. Rotten conclusions. But it’s the lies they embrace to help them face a world they cannot accept. Fortunately, Google can face the world and will not accept their lies. I didn’t understand the article and I don’t understand Mary’s response either. Read them again, John. Both are easy to understand. I tried. I got half way through the article before I quit. Mary’s is just “they’re lying.” The response is “no, you’re lying.” And so on. He doesn’t want to understand. He feels that if he examines it, his life’s work will be revealed as a travesty. Not quite. I was 35 when we decided to make it legal to kill people we didn’t want around.